Are you tired of waiting for new App for the Palm Pre? Well, Palm may be slow in releasing new Apps, PreCentral.net has been very successful in hosting a Homebrew App Forum for the Pre. There are almost 100 Apps available! 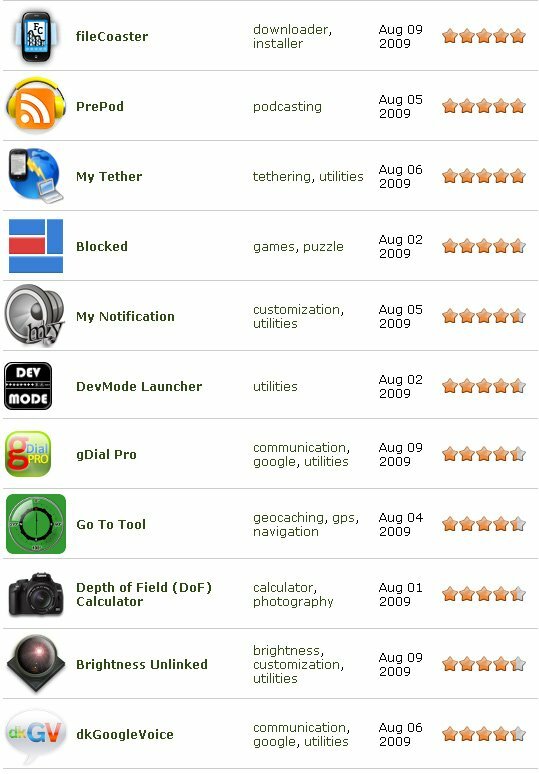 Unfortunately, it is not as easy to install these Apps as on the old Palm Treos. The Pre is locked down to keep it secure. Take a look at the FAQ How To Install Homebrew Apps. After following these steps, FileCoaster will allow you to install the Homebrew Apps as easily as the Official App Store. There actually are some good apps like FindMyCar, Depth of Field Calculator and several geo-caching apps. Thanks to the PreDevCamp this past weekend, you can expect both Homebrew and official Apps in the near future.